We have recently learned from Yael Koskas, of the Israel Philatelic Service, that our spay/neuter stamp suggestion will be considered during their November 2016 meeting. At that time, the Israel Philatelic Service Committee will vote on upcoming stamp issues for the year 2018. We are asking our friends and supporters to contact Mrs. Koskas and thank her for considering our suggestion to produce and issue a spay/neuter postage stamp and let her know you are in favor of such an important educational tool. 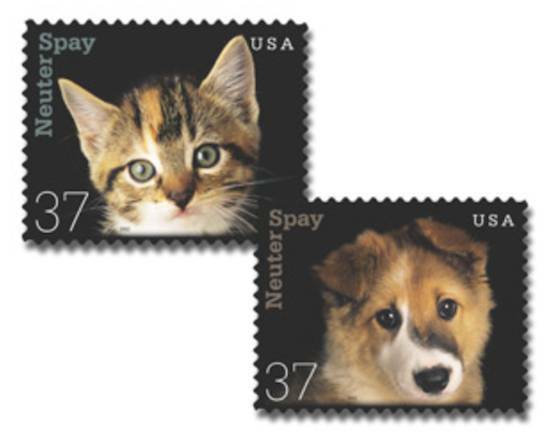 The impact of such a stamp on dog and cat population could be substantial.